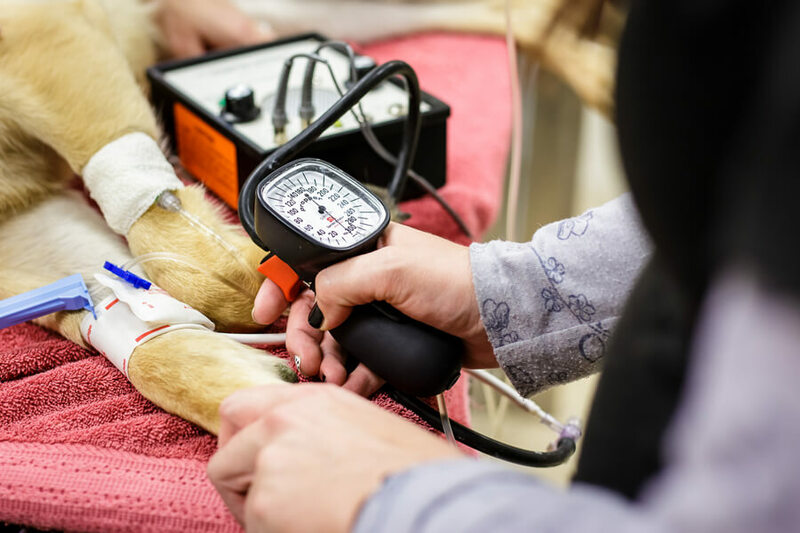 Many veterinary internal medicine problems require hospitalization with very close intensive care monitoring. Our intensive care unit is staffed by a highly trained team of veterinary technicians 24 hours a day. These nurses provide the most compassionate care for your pet in a state-of-the-art facility. Patients in the intensive care monitoring unit may be on intravenous fluid support, antibiotics, medications to control pain or vomiting, chemotherapy drugs, blood products or oxygen. Our nurses work closely with the doctors to ensure that your pet is well cared for during his or her stay.